West coast politicians were worried that the thousands of Chinese labourers who had been contracted to build the CPR through the Rocky Mountains would begin settling throughout British Columbia. The federal government moved swiftly to bar Chinese from voting, with wording amended by Sir John A. Macdonald in the Electoral Franchise Act (1885). Macdonald’s amendment to the Act changed the definition of a “person,” who would have voting rights, to exclude a person of “Mongolian or Chinese race.” Subsequent federal elections laws would reinforce provincial exclusions. 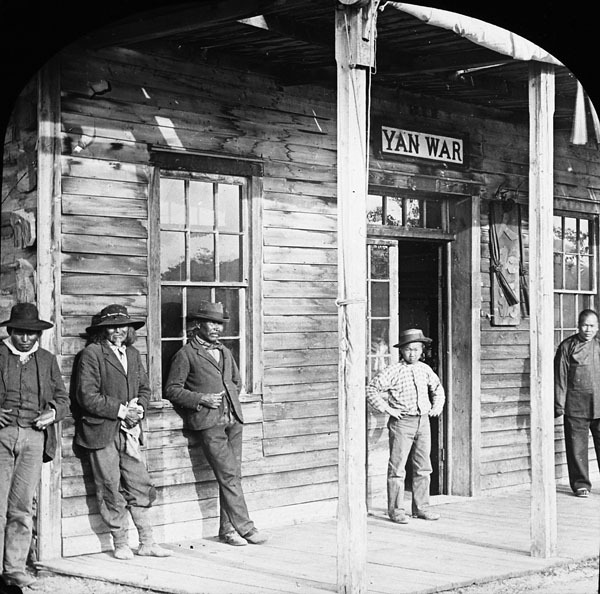 When the transcontinental railway was completed, creating a glut of cheaper Chinese labour, the federal government passed the Chinese Immigration Act (1885). The Act provided for a special levy, which stated: “Persons of Chinese origin are required to pay a $50 ‘head tax’ upon entering Canada.” By 1904, all Chinese entering Canada, with few exceptions, would pay an immigration entry fee of $500. The head tax on Chinese became a major revenue source for the Canadian government, which did not collect income taxes until sometime during World War I. Still, anti-Chinese discrimination persisted and on July 1, 1923, as other Canadians celebrated Dominion Day, the federal government abolished the head tax and simply prohibited Chinese immigration to Canada, through enactment of the Chinese Immigration Act (1923) – otherwise known as the Chinese Exclusion Act. For years after, Chinese Canadians observed July 1 as Humiliation Day. Federal complicity in passing discriminatory legislation that targeted Chinese, including naturalized and Canadian-born Chinese, opened the door to myriad other racist and exclusionary laws at all levels of government. British Columbia passed some of the earliest “contract compliance” legislation in the country, designed not to reduce racial discrimination, but rather to enhance it. Various statutes made it illegal to employ Asian workers if an employer receives “any property, rights or privileges” from the B.C. Legislature. From 1885 to 1907, the B.C. Legislature added a clause to legislation prohibiting the hiring of Asian workers in 57 acts to incorporate private companies. Road to Justice provides a list of laws enacted by Parliament, provincial legislatures and municipal governments to curtail Chinese activity and participation in the economy and society in its Resources section. The list is not exhaustive. It also includes reference to significant court cases in which these laws were often challenged by Chinese and their representatives, or enforced. Within each entry, listing either law or statute or court case, notes are given on the predominant issue raised. Note: Legal research in this section provides reference to the various laws, statutes and court cases that describe the use of law in Canada to discriminate against Chinese Canadians through history. There are other examples in which other laws, including the Criminal Code, were used to target the Chinese, but this lies beyond the focus of the project.